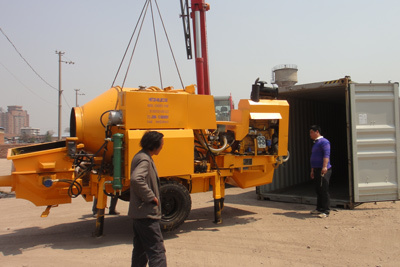 With rich experience in manufacturing and exporting concrete mixer pump to oversea countries, our concrete mixer pump for sale have been exported to countries such as Pakistan, Kenya, the Philippines, Vietnam, Myanmar, Seychelles, Indonesia, Sri Lanka, Russia, Fiji, Kuwait, Congo, Algeria, Sierra Leone, Uzbekistan, UK etc. In Jul, 2018, Aimix after sales visited customers in the Philippines for free daily maintenance in July, 2018. 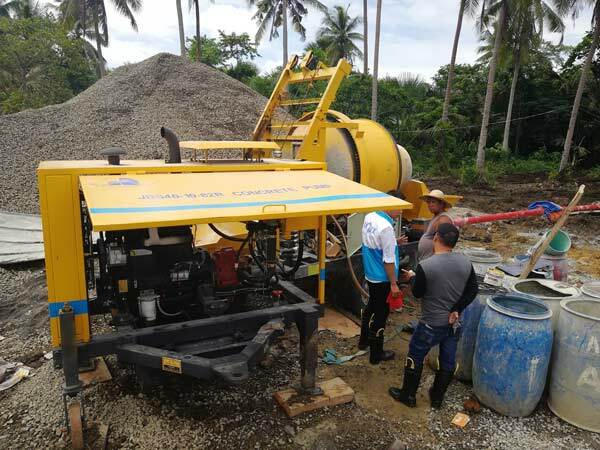 The Philippine customer spoke highly of Aimix concrete pump with mixer and our service. 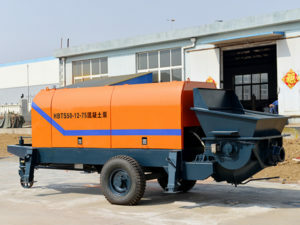 Concrete mixer pump is featured by the combination of mixing and conveying of concrete together, which can save labors and reduce labor intensity. In general, our concrete pump with mixer for sale can be motivated by electric or diesel, and our concrete mixer with pump has its own advantages and specialty. 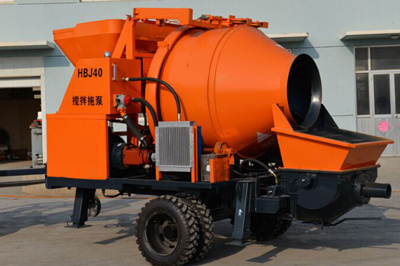 Electric or diesel concrete mixer with pump can be applied to varieties of construction projects to help you expand business scope. 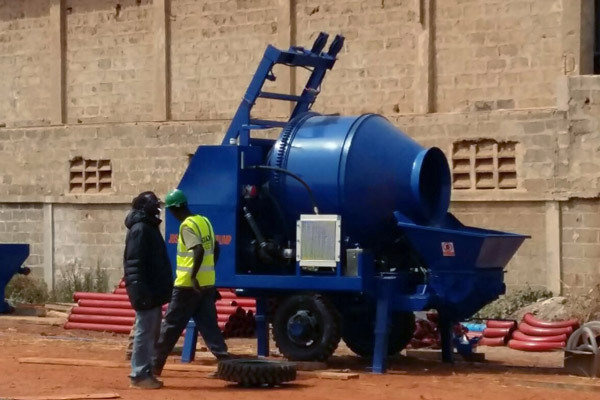 Concrete pump and mixer can transport concrete to places that labors or tractors have no access to, which is undoubtedly a good choice for the construction of civil house, water conservancy, rural roads and ground works. 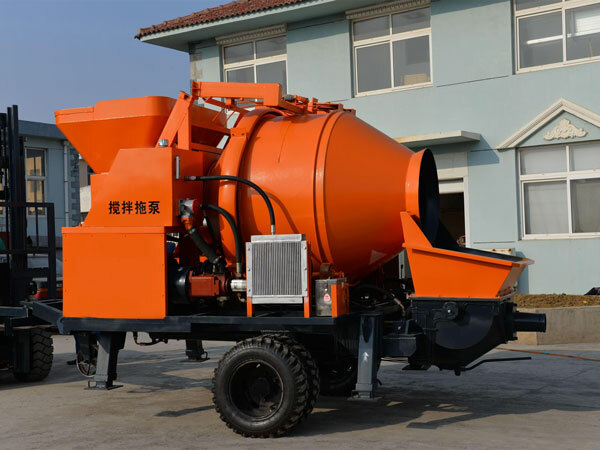 Cement mixer and pump also has large or small concrete pump with mixer, and users may choose the right model with specific production demand. 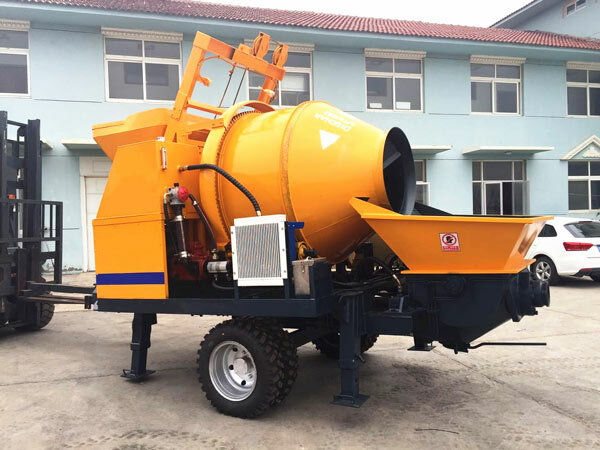 As a kind of often-used mixing machine, mini concrete pump with mixer enjoys a good reputation by its convenient transition, superior mixing quality, low investment and spontaneous returns. 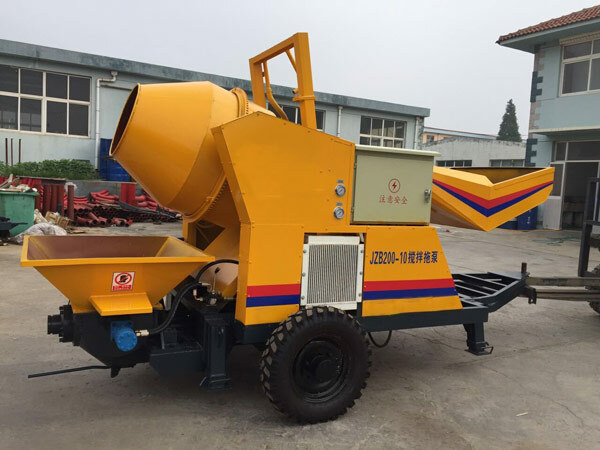 Concrete mixer and pump manufactured by our company adopts original Germany Rexroth pump, which ensures the stable performance and provides sufficient power for horizontal transport of concrete over 200m. The advanced cylinder of manual concrete pump mixer ensures that the machine has better suction performance, large mixing aggregate size and easy maintenance. 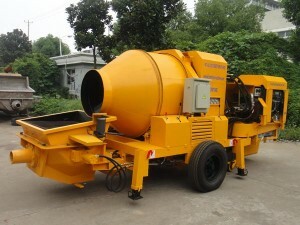 It is unquestionably that our concrete mixer pump can make profits and shorten your construction period. Portable movement of the mobile concrete pump can reduce site-switching time and improve working efficiency. 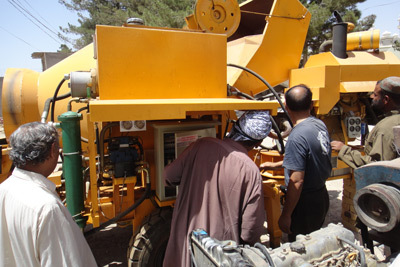 Imported oil pump of Aimix pump mixer provides enough power for the smooth operation and transportation of concrete. PLC control system makes the operation of the machine be safe, convenient and easy. High mixing speed of the pump mixer can meet the big demand of any construction projects and works. With professional producing and innovating team, we have committed ourselves to provide customer-welcomed cement mixer pump with easy operation, high working efficiency, reasonable price and long service life. 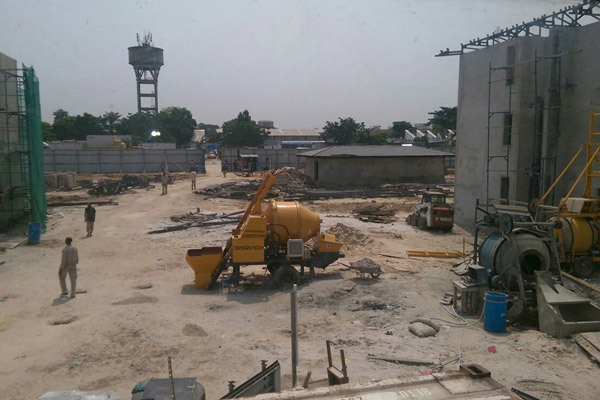 Our cement mixer and pump can be motored by diesel or electric, which enables it having extensive application. 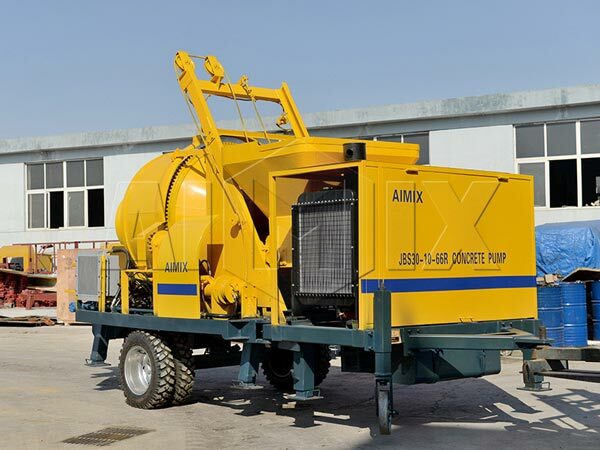 In addition, Aimix also offers other types of concrete pumps for sale, such as diesel concrete mixer with pump, concrete trailer pump for sale, electric concrete pump, mobile concrete pump for sale and so on. 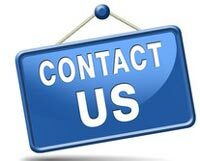 Please feel free to send us a message if you need a concrete pump, and please trust us that we will offer high quality machine with reasonable price to users all around the world.